The Dojo offers training in three types of sword arts that use metal swords: Iaido; Tameshigiri and Saber Fencing. The weapons training in Aikido emphasizes movement and timing with Bokkens (wooden Swords). 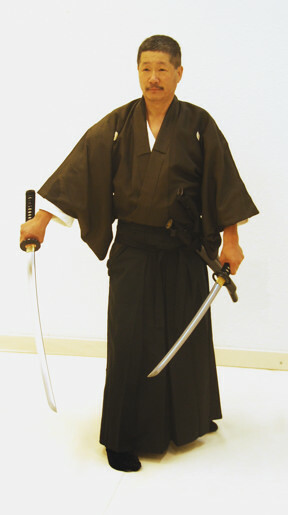 In fact, the founder of Aikido prohibited Aikidoists from practicing Aikido techniques with real swords. However, many students of Aikido are interested in using real swords. Therefore the Dojo offers 3 programs that utilize real swords. In old Japan, sword fights sometimes started very quickly. Originally, Iaido was the art of quickly drawing the sword quickly for self defense. Obviously, if the sword could not be drawn quickly enough to block the attack, there was nothing else. However, today no one carries swords, so defending against sudden attacks is no longer relevant. This has caused Iaido to evolve into a meditative martial art. It is ideal for students who are interested in meditation and tension reduction, but who want something with more motion than Yoga. This transition of Iaido from a fighting art to a meditative art actually was not much of a transition. Drawing the Japanese Katana is surprisingly difficult. The traditional sword is razor sharp and the sheath is soft wood. An incorrect draw can easily cut thru the sheath and injure the hand holding the sheath. Sword masters would spend hours practicing drawing the sword and performing various sword cuts. Much attention was given to coordinating breathing and body motion. It was an easy transition to make the art meditative. A new student begins Iaido practice with an unsharpened sword with a metal sheath. They practice drawing the sword in front of a mirror until the sword can be drawn and re-sheathed with scrapping the sheath. Next basic Iaido kata (prearranged forms) are learned. These forms teach how to draw the sword into a block or counterattack from a variety of angles. There are several different katas that are learned. However, preference is given to katas done from standing posture, since the Iaido is taught as an adjunct to the Aikido program. The Japanese Kendo Federation has developed a series of forms done from a kneeling posture (seisa). These are taught but de-emphasized, since the Katana was rarely is used from this posture. Tameshigiri is simply cutting with the sword. In old Japan, this cutting was done by expert swordsman as a way of rating the quality of the sword. Today, it is done for fun,. The edge of the blade must be directly aligned with the arc of the cut and the weight of the blade. Any misalignment will cause the blade to scallop out of the target. A new students begins by practicing cutting the sword in air; i.e. no target. After the cut looks good in the air, various targets are cut. First targets are normally foam rollers. The rollers are mounted vertically on a post. If the sword is not aligned property, the sword will scallop out of the roller. When the foam roller can be cleanly cut, the students graduates to cutting straw mats. The straw mats are soaked in water and rolled into cylinders that are held vertically on a post. These rolled straw mats are said to approximate the resistance of a human neck. 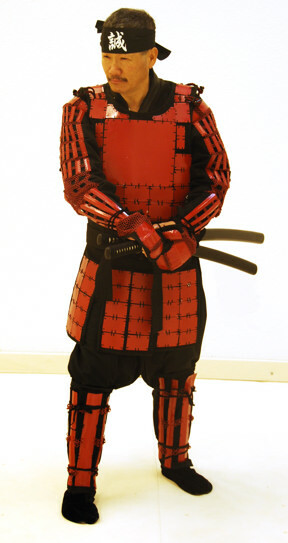 Older style non-electric sabers are used so that ordinary padded clothing can be used. The Dojo provided sabers and masks. Students are requested to supply their own gloves and protective clothing. Saber fencing can be a highly aerobic activity and can be used effectively as part of a weight control program.